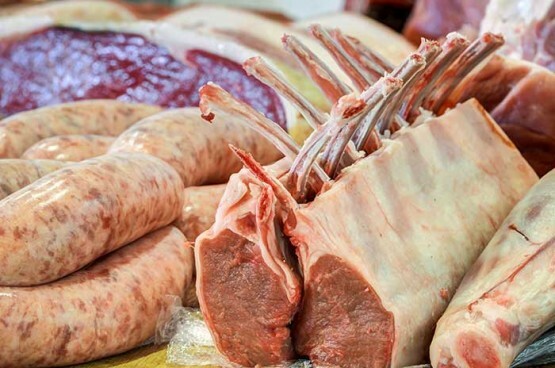 Our in house butchery offers a wide range of meat & cuts, much of the meat is reared on the farm using extensive farming methods, our traditional British breeds are reared on grass and homegrown cereals. 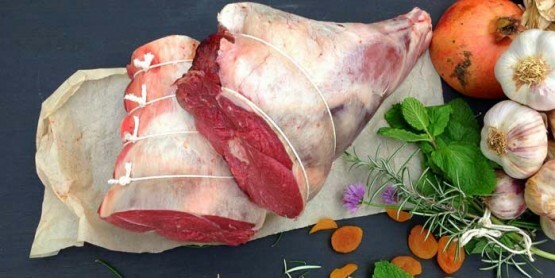 Traditional butchery methods are employed; by careful hanging on the bone and a high level of attention to preparation, the full flavour and tenderness of our meat is allowed to develop. This may mean that the meat is not the bright red colour seen in most retail outlets but a darker shade which is a sign of craftsmanship. 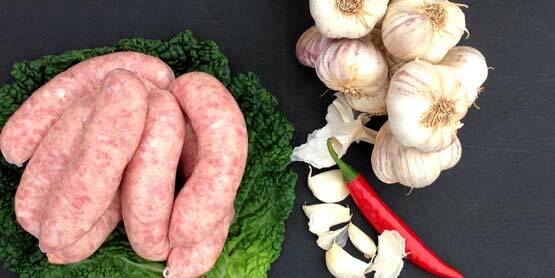 The way that meat is cut is important too; Our butchers cut each carcass on their merits to give you, the customer, the very best. Whole Fresh Oven Ready Turkey with giblets. Our Turkeys are reared here on our farm at Allington and also by Rob Lunnon, a family friend, who farms at Lower Haydon Farm, Wells. Our Turkeys are all reared on straw bedding in large barns with plenty of space, natural ventilation and light. They are not fed any growth promoters and reach full maturity, naturally, before they are killed. 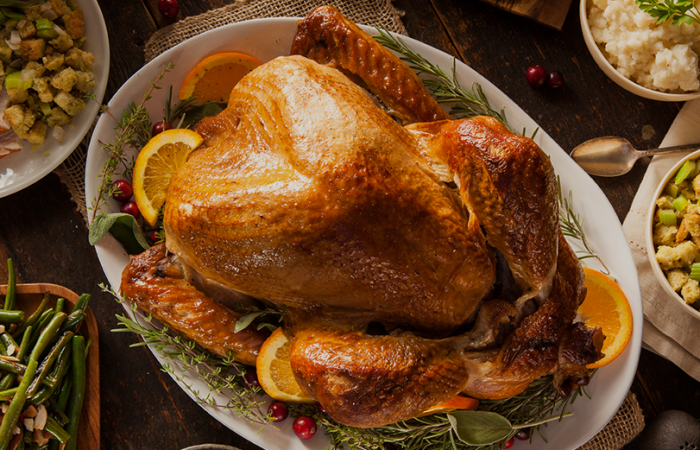 Traditional methods are used to prepare the turkeys; they are killed and processed on the farm with minimising their stress a priority, turkeys are dry plucked, hand finished and then hung for up to 14 days in cold rooms. 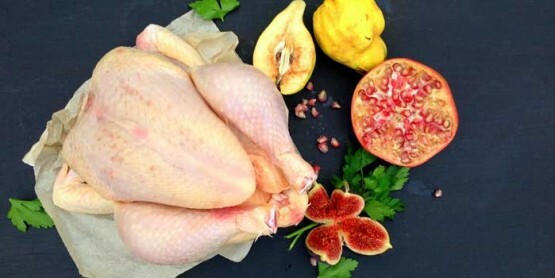 This process preserves the natural texture and enhances the superior flavour of the bird. All of our beef is hung for a minimum of 21 days to give it that beautiful flavour and tenderness. Our beef animals are naturally fattened on grass and our home grown barley. 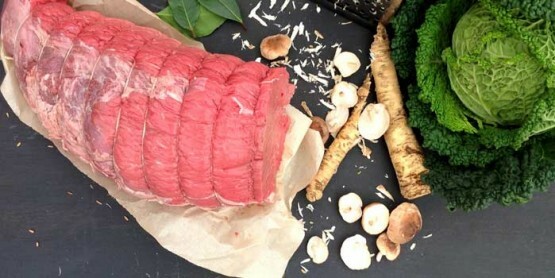 We are not self-sufficient on beef and source the rest of our beef from local farms within the West Country. 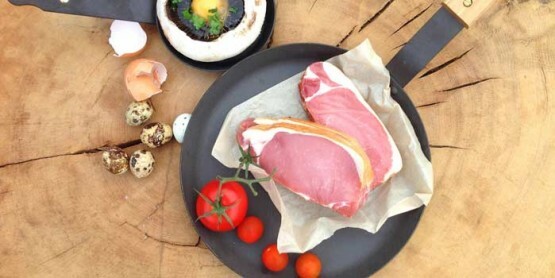 Fresh, Free Range, Oven Ready Chicken with Giblets reared at Woolley Park Farm, Bradford on Avon, they are free range, corn fed and are traditionally dry plucked and hung. Our smaller free range chickens are reared by the Caldecott family in Worcestershire. Dry Cured Wiltshire back and streaky bacon, thickly sliced. 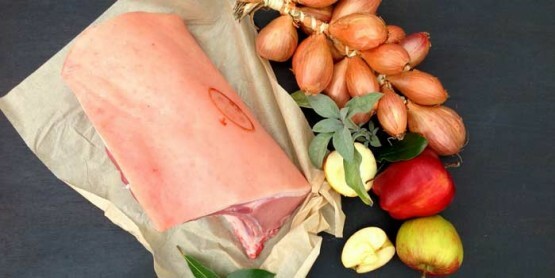 Cheshire Oak English smoked and unsmoked Gammon Joints. 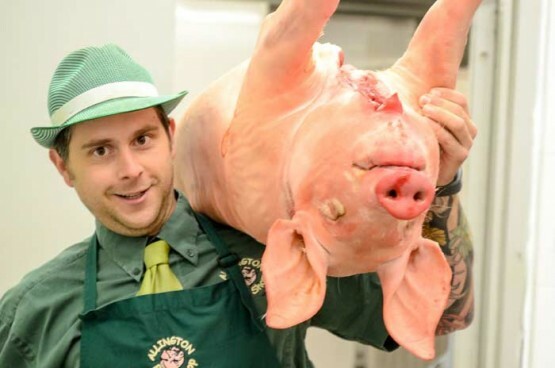 Nearly all of the pork sold in the shop has been reared on our farm and if we are unable to keep up with demand at anytime we source from local farmers. We rear large white pigs crossed with traditional old English breeds; Tamworth, Saddleback and Gloucester Old Spot. Our pigs are fattened on our home grown cereals. 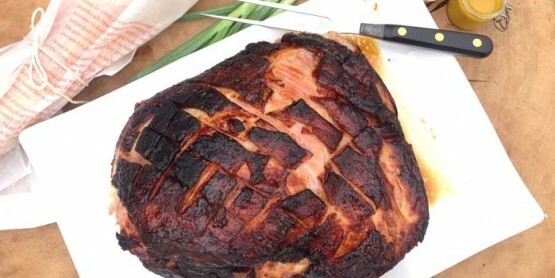 Cooked Ham Joints and Honey Roasted Ham Joints, cooked by us to our recipe, ready to carve and enjoy!